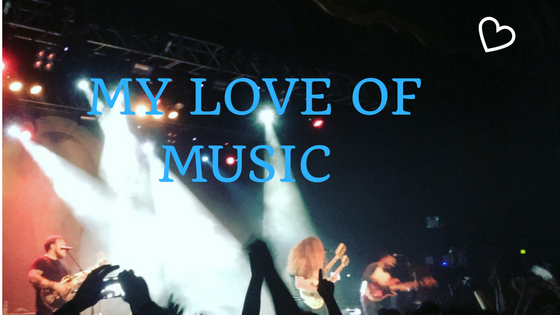 I’ve been a music fan for as long as I can remember so I’ve decided to start a new series. I will be talking about a different band each week but first I thought I should start at the beginning. Music was and still is a huge part of my life. I’ve been into it from a very early age. My grandparents, especially my granddad were always listening to something. Frank Sinatra and Nat King Cole were two of his favourites. My mum was a massive Michael Jackson, Tina Turner and Rod Stewart fan. Like most people I first loved pop music, I once got my mum to record a New Kids on the Block concert on VHS that was being shown on MTV way back in the late 80’s/early 90’s. I can’t actually remember exactly when it was, but I do remember watching it over and over again. I can still remember the first time I got a CD player, it was for my 10th birthday in 1993 and I got Now 26 to play on it. From then on my cd collection just grew and grew. I used to love listening to the radio or watching the music channels on Sky. I was already moving on from Take That, Spice Girls, Backstreet Boys at this point. Blur and Oasis were doing battle in the charts. It was around the age of 14-15 that my taste in music started changing. It was also around this time that I moved on from kids films I guess. Clueless has an amazing soundtrack and introduced me to No Doubt. The Matrix – Marilyn Manson and Rob Zombie, The Craft – Portishead, Romeo and Juliet – The Cardigans. Films from the 90s really did have great soundtracks. The 80’s too but that’s a whole other post. I grew up in a small town in North Devon. We used to have an Our Price and a little independent record shop which was amazing! It sold clothing as well as CDs. I used to go in and buy badges and patches to put on my bags. I remember going on a school skiing trip to Austria when I was 16 and I spent most of the journey there and back either listening to Korn or Marilyn Manson on my discman. Did I mention how old I am? A boy on the coach was a big Manson and Rammstein fan so he let me borrow some of his CDs to listen to, which was great because 16 hours of only listening to the same few albums got a bit boring. Once I finished secondary school and went to college I really entered the realm of teen goth. I went to my first ever festival and gig when I was 17, it was Reading Festival 2001. The entire weekend ticket cost £85, not the £200+ it costs now. I went with two boys from college and that was it. We had a great weekend. The lineup was amazing and I managed to get right to the front for Marilyn Manson. My weekend was made right there. 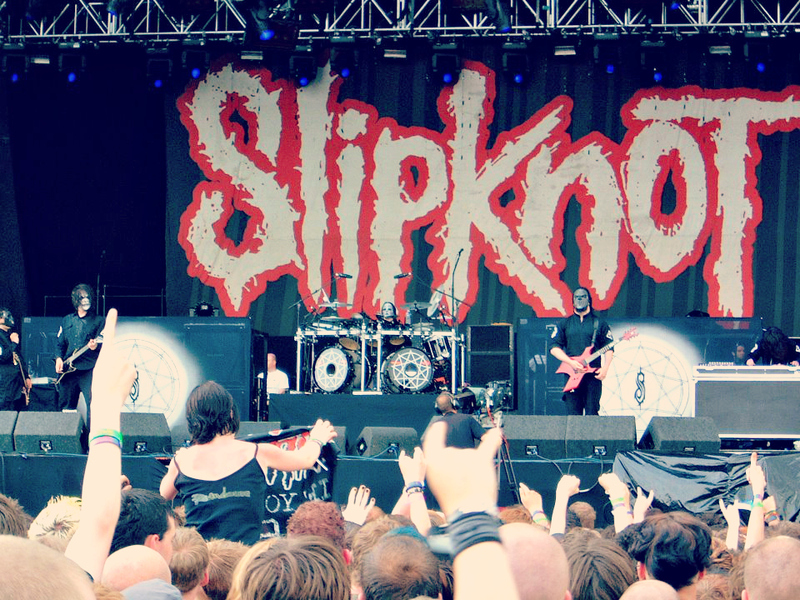 I continued going to Reading for the next 3 years, until Download Festival came along and stole my heart. Festivals are a great way to discover new bands, and see your favourites. Download started in 2003 and me and Jesse went every year up until 08, when we decided to spend a ridiculous amount of time on a coach with a load of friends and head to Rock Am Ring in Germany instead. It’s a trip I will never forget. Rock Am Ring was like no other festival I have ever been to. We arrived at 10pm, it was dark, there were a lot of drunk people stumbling around, and we were supposed to find somewhere to pitch a tent! After that year out we’ve been on and off but since Clementine arrived we haven’t been. I also went to Ozzfest in 2002 for the day which again had an amazing lineup. I have a box that I like to keep my tickets, wristbands and set lists in. Yes, I used to be one of those who tried to get securitys attention at the barrier so I could get a setlist or a plectrum or anything. Now I’m all about standing (or even sitting!) at the back and taking it all in. It’s really nice to be able to look back over them every now and again. My oldest ticket, apart from my Reading 2001 wristbands, is the top one in the picture below. It’s for System of a Down at Brixton Academy on 21 November 2001. 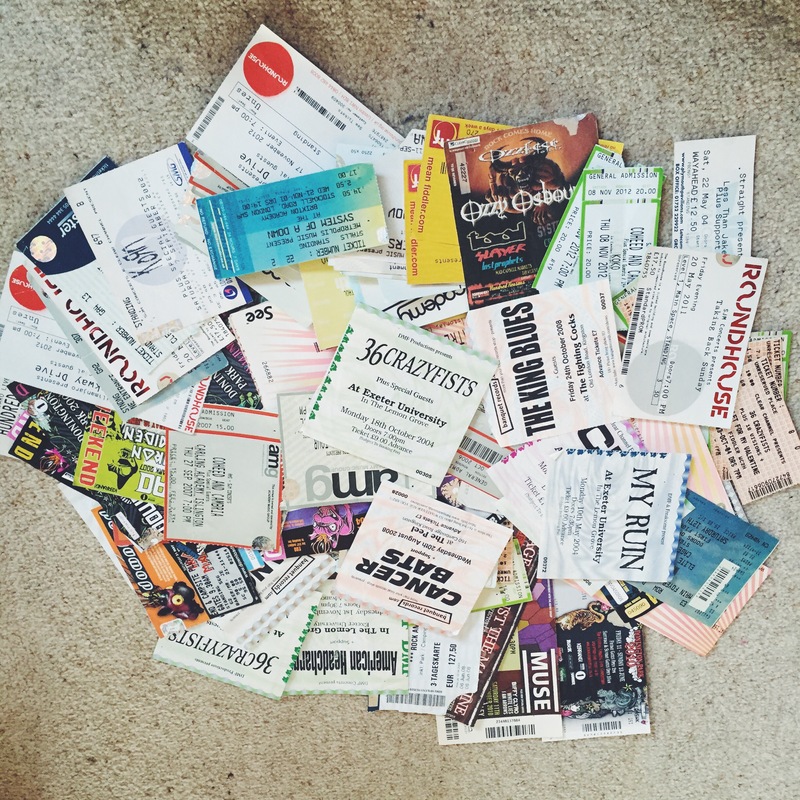 I couldn’t even count the number of gigs I have been to, it’s a lot. When we lived in Devon we used to go to London, Exeter, Bristol and Birmingham for a lot for gigs. Although we have been to Brighton a few times as well. Even whilst I was pregnant I still managed to go to six gigs. 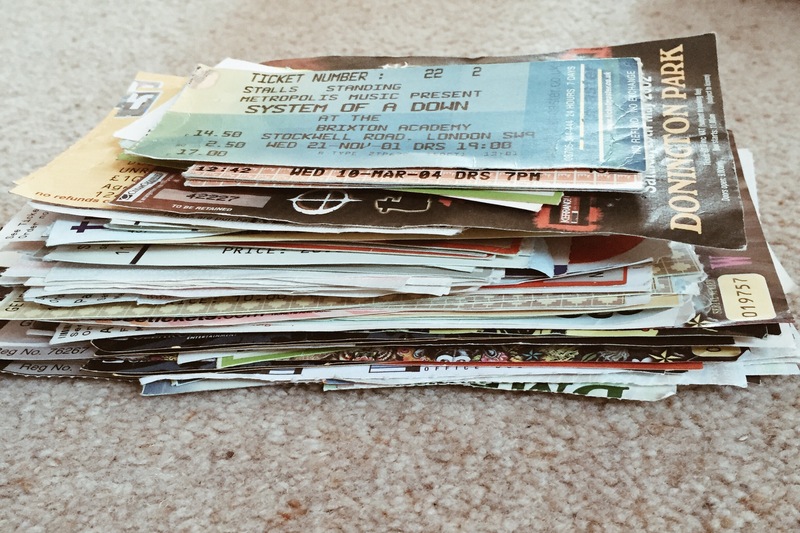 I saw 36 Crazyfists, Coheed and Cambria, Limp Bizkit, Papa Roach, Fall Out Boy and John Newman. Since having Clem I’ve continued to go to them. I love live music, and even if I’ve seen a band numerous times I still get excited every single time. It’s already becoming obvious that Clem likes music as well which is great. She dances and sings along all the time. I can’t wait to share one of my favourite things with her and hopefully take her to a few festivals and gigs as well once she is old enough. If you’ve stuck with me this far, well done. Next time I’ll be talking about the bands that started my journey into metal.